Chennai: Star Vijay, Tamil GEC is all set to launch its new game show Divided The show is an international format, that is set to Tamil television will be witnessing. Divided is slated for launch on July 21st in the channels’ weekend slot at 8 pm prime time band. When a team stands united, everyone wins, this forms the crux, the show is entirely about dynamics within the team. The game show ‘Divided’ that tests knowledge and character of the contestants will have three commoners as contestants, these commoners are strangers who come together to play as a team and they will have to answer unanimously within the given 100 seconds to one question asked by the host. The real thrill of the game begins when the prize money won by the contestants cannot be shared equally rather they have to share among themselves amicably. The money at stake keeps decreasing until they lock in their choice. When egos and greed divide the team, everyone may lose. The contesting teams can win a prize money of upto Rs. 50 Lakhs. Will they be ready to accept the lesser share and give away the larger share to others? 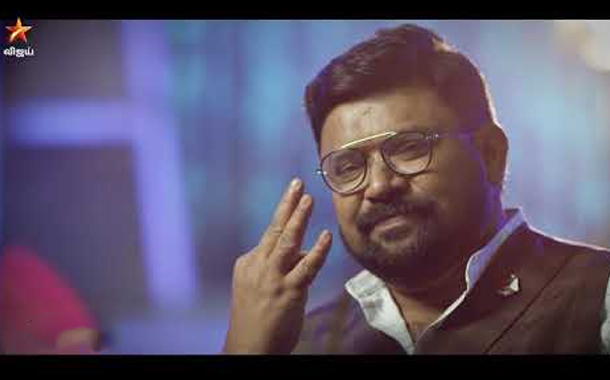 The reality game show will be hosted by the popular TV personality and anchor Gopinath, who is known for his popularity with the channel’s talk show “Neeya Naana” will be seen in an all-new avatar in the new show. Divided will be telecasted every weekend at 8.00pm starting 21st July.